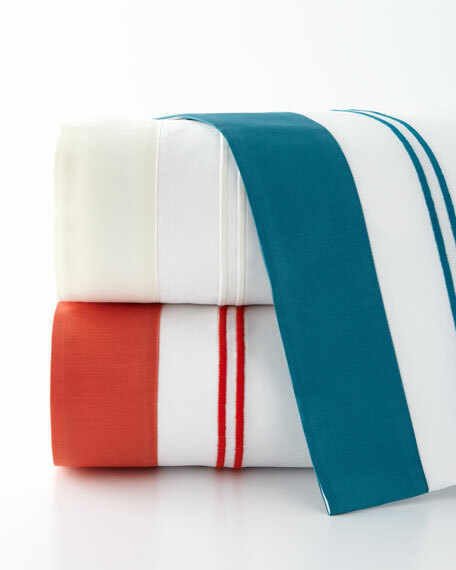 Sham of 300-thread-count Egyptian cotton sateen woven in Italy. Framed with double lines of satin stitching and a 2.5" applied border. For in-store inquiries, use sku #2229712.